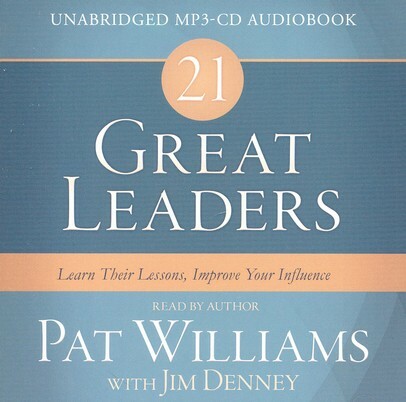 To improve your own leadership influence, study the lives of great leaders-you'll find 21 of them in Pat Williams' newest book. 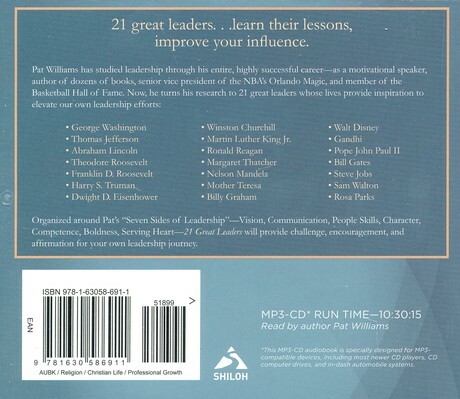 Member of the Basketball Hall of Fame, senior vice president of the Orlando Magic, and author of 90 books, Pat Williams has devoted much of his life to the study of leadership-and shares the stories and principles of individuals from George Washington to Nelson Mandela, Billy Graham to Walt Disney, and Margaret Thatcher to Steve Jobs. Organized around Pat's "Seven Sides of Leadership"-Vision, Communication, People Skills, Character, Competence, Boldness, Serving Heart-21 Great Leaders will provide challenge, encouragement, and affirmation for your own leadership journey.